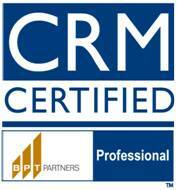 Most of you in Latin America are coming back from the holidays and vacations, and about to start you CRM projects. If you need help in starting your CRM strategy or project and need to develop a common language to generate consensus, we have a both free and paid content that can help you. How to integrate CRM with Social Media - recorded webinar with more than 2,000 views in Slideshare. Social CRM Workshop Part 2 - a 2 hours video with Jesus Hoyos about creating a Social CRM strategy. How to use CRM and Social Media together - a Mexico case study presentation. How to use an effective Segmentation using RFM - presentation about using Recency, Frequency and Monetary values to segment customer based on Top Best, Best, Frequents, Spenders and Uncertains categories. 8 elements for your CRM Strategy - presentation about how to establish a CRM strategy. This is a slideshare presentation with more than 5,000 views. Other related content at Slideshare - most viewed presentations. We offer a series of courses (paid content) that can be tailor for your needs and requirements. These courses are both provided via an eLearning platform and on-site. CRM Strategy Certification: Via a partnership with BPT Partners, CustomersForever and Centro de Formacion de Call Center, we can provide for your company a CRM certification to help define your CRM action plan. Social CRM Seminar: If you need to integrate Social Media and CRM, and learn about the new tools and processes needed, this seminar is for you. We will teach you how to integrate Social Media with your CRM strategy. We offer custom CRM seminars based on your different CRM needs from marketing automation to loyalty programs and from call center to segmentation. Let us know how we can help.